We love nothing more than stealing the style of film icons and Emily Blunt’s foray into the magical world of Mary Poppins gave us inspo for days. Inspired by the DVD release of Mary Poppins Returns, we’re stealing MP’s dewy, classic looks with some of our favourite products. In every job that must be done, there is an element of fun – lets prep! If you’ve seen this movie you’ll know how impossibly incredible Emily’s skin looks; us mere mortals will need to put the effort in to get that glow. 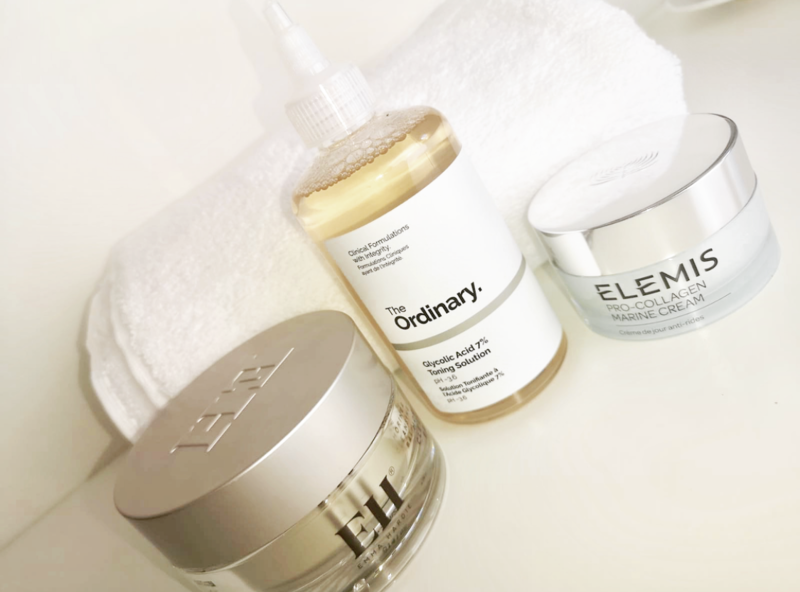 So, let’s power through that (cough) daily skincare routine, because we know you have one that you follow religiously, right? Guys? Cleanse: Emma Hardie Moringa Cleansing Balm With Dual-Action Cleansing Cloth – a deep-cleansing, botanical balm which removes face and eye makeup whilst effectively moisturising and conditioning all skin types. Tone: The Ordinary Glycolic Acid 7% Toning Solution – an exfoliating toner that will restore a clear, radiant tone to your skin. This toner gently exfoliates the skin whilst improving uneven skin tone & texture with regular use, eliminating blemishes and minimising pores. 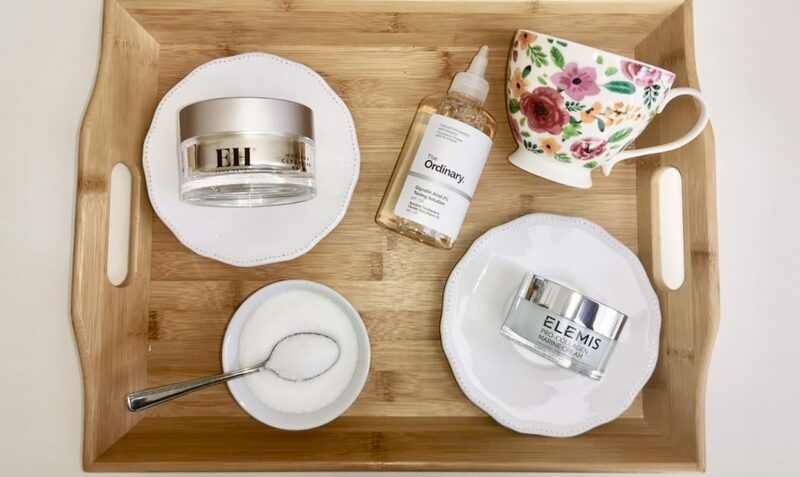 Moisturise: Elemis Pro-Collagen Marine Cream – the ultimate anti-ageing, anti-wrinkle day cream which reduces the depth of wrinkles and increases hydration levels. This leaves your skin with a radiant glow, perfect for creating a flawless look. Get started with the perfect base. We know our customers absolutely love this ‘Conceal and Perfect’ 2 in 1 foundation and concealer from MILANI. Team this with some pure English-Rose wholesome-ness with the W7 Cheeky Trio Bronzer, Blusher and Highlighter kit. For this look, less is more, we’re really hoping to focus on those rosy cheeks and lips so go easy on highlighter and bronzer, as that’s not MP’s style! Add a dash of Maybelline’s Lash Sensational Luscious Mascara to your top lashes to make your eyes pop in true Mary style, and brush a little Eye Of Horus Brow Fibre Extend through your eyebrows for some definition and gentle shaping. If there’s one thing that stands out about both Julie and Emily’s portrayal of the magical nanny with the most, it’s her signature lip. That pinky-red is just, well, perfect. Start with a clear line, keep that colour in and maximise what you’ve got. We’re suggesting the L.A Girl USA Perfect Precision Lip Liner in Reddish teamed up with something like the Gerard Cosmetics Fire Engine Lipstick. 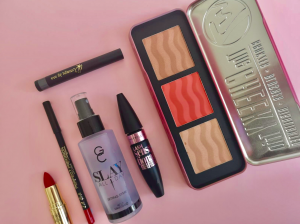 Set your look with a sublime spray like Gerard Cosmetics Slay All Day. When this is done, you’ll be all ready to, we don’t know, feed the birds or maybe fly a kite? Either way, you’ll be rocking some classic beauty and you’ll be sure to empress. Want more film and movie product picks? Let us know your favourite looks.